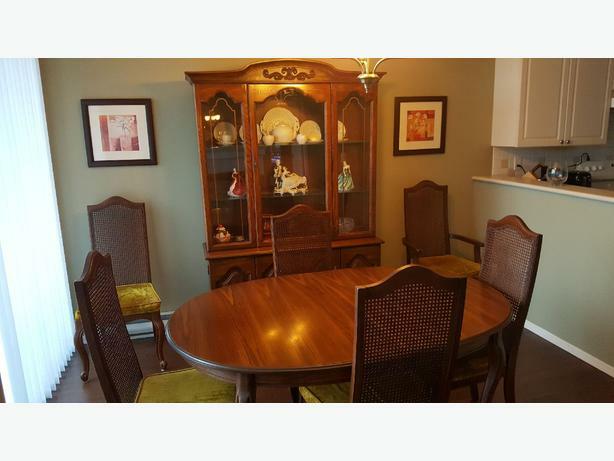 Dining room table with six chairs and a china cabinet. Will consider splitting it up if you do not want it all. Free to good home.